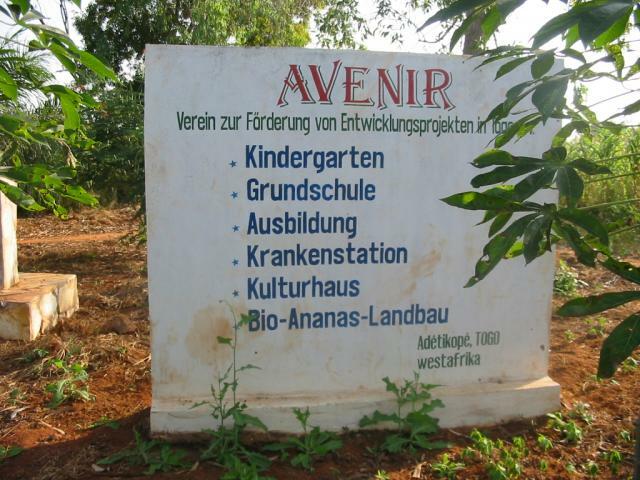 It began with the joint idea of the villagers of Adétikopé and their German friends in 2001: to build a sustainable organic farm as a natural resource which would provide healthy nutrition, work and income from the land, and which would fight poverty and prevent rural exodus. 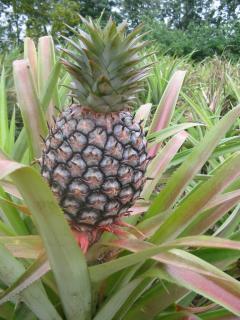 Out of this arose the concept of a pineapple plantation. The initiators wanted lasting cooperation between the Germans and Togolese and this is achieved by the project in various ways. It is expressed through cultural exchange as well as minimum quality in respect to the appearance of the buildings and the agriculture. 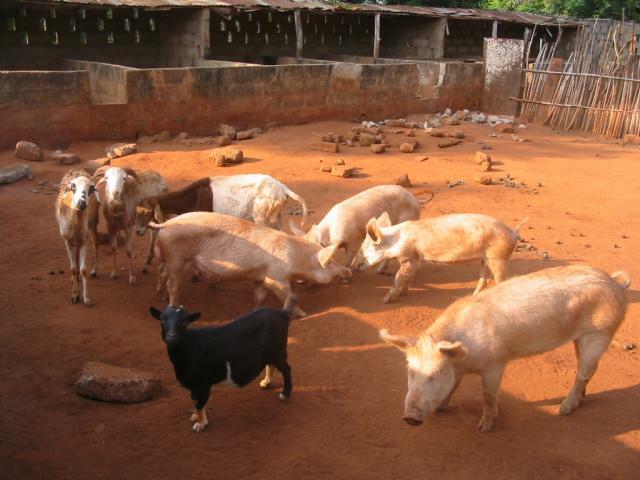 A further feature of the project is its holistic approach, whereby several effects are to be achieved concurrently to achieve long term improvement in the livelihoods of rural people socially, ecologically and agriculturally. We aim not only to provide work and earning opportunities, but also to develop education and training facilities, improve infrastructure and services (e.g. in welfare and health care) and develop green tourism. The introduction of a local currency and an „exchange circle“ are envisaged for the future. The project has since been extended to 10 hectares; the first harvest of pineapples and the export of dried pineapple to Europe were successful. The income from that plus some donations were enough to build a kindergarten. In the summer of 2007, a small primary school was incorporated, offering sustainable education. 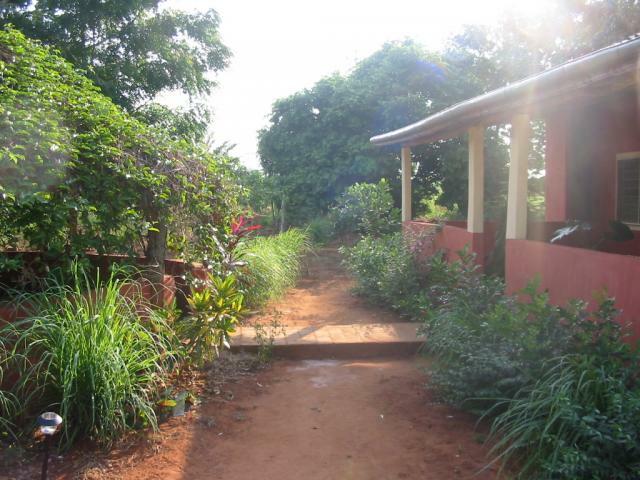 Last year, a solar-powered well and a new school building were inaugurated. The school already has 100 enthusiastic pupils. There are further plans for a secondary school and a Cultural Centre. The active involvement of the villagers, especially the Womens Committee, has meant that we have great hopes of the realisation of these planned projects, using local initiative with German support. On request we can offer other net participants overnight accommodation. In addition to that we can offer the following: a presentation, provision of contacts in the field of development work in West Africa, organic agriculture, the building of schools and kindergartens. Further possibilities of support; exchange of experiences in development work, adult education, education of children and young people (reform education), the drying and export of organic fruit.